Right in the middle of Germany's beautiful nature and surrounded by forests and meadows, you'll find the two-person apartments of Resort Hambachtal. The apartments are perfect for a vacation for two. The living/bedroom is furnished with either a double bed or two single beds. Enjoy a wonderful night's rest at the apartments. You'll find a TV in the living/bedroom as well. The apartments feature a kitchenette equipped with a refrigerator with a freezer compartment, a microwave, a coffee maker and a water heater, as well as other features. Enjoying a nice cup of coffee or tea at your apartment won't be a problem at all. The bathroom offers a toilet, a sink and a shower. You'll never have to worry about cold feet either, as the bathroom features floor heating. How nice is that?! Each of the apartments features a furnished balcony, meaning you'll always be able to enjoy the sun and the fresh outdoor air. 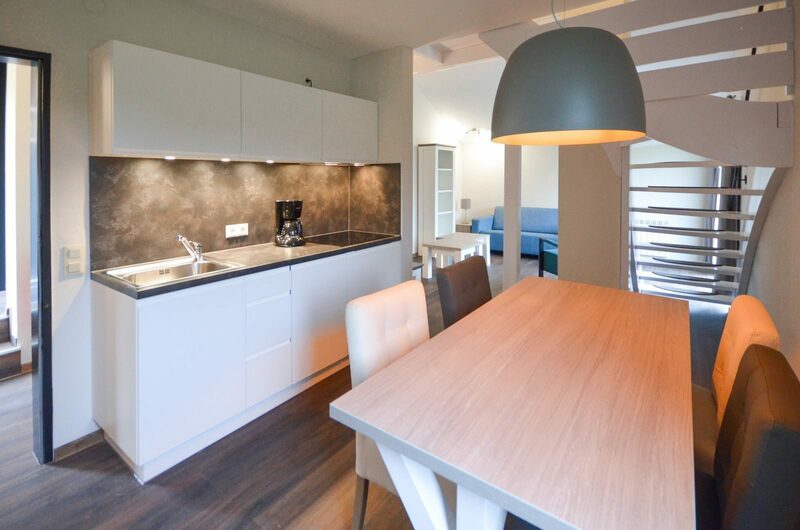 The apartments have a surface of approximately 26 m². Resort Hambachtal is located in a rolling landscape with lots of height differences. For this reason, the park facilities are accessible via stairs. 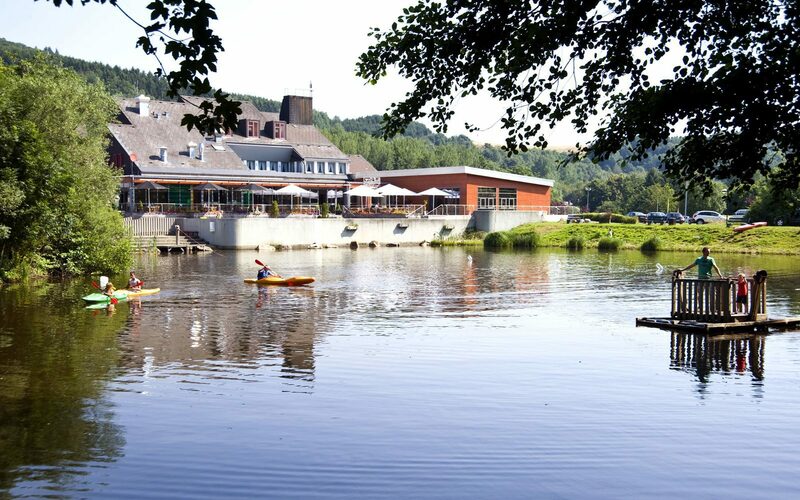 Thanks to its magnificent subtropical swimming paradise, featuring a slide, a white water rapids course as well as a hot tub, various catering facilities, bowling alleys, tennis courts and bicycle rental, Resort Hambachtal is the ideal holiday destination for guests of all ages. In addition, you'll have various saunas and thermal baths at your disposal at the sauna center during your stay at the two-person apartment. The pinnacle of relaxation!